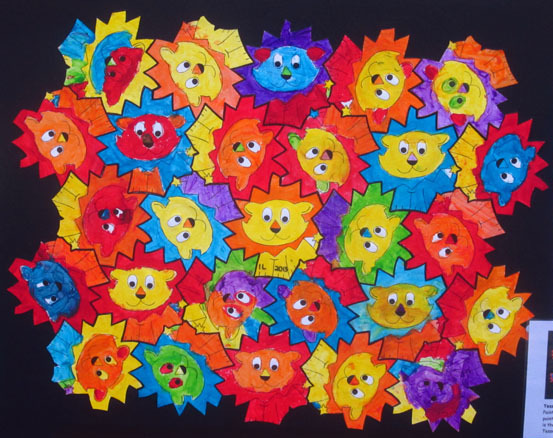 The finished product of our lions tessellation canvas. Inspired by the lizards on Mrs Bearden's Art Room. Each child painted their own lion and then they were glued to the canvas. Let me know if you're interested in the tessellating lion, and I'll have a go at uploading it.